The 4th of July is the perfect opportunity to get together with friends and family to celebrate our amazing country. These 21 Fun and Easy 4th of July Cocktails are the perfect treat for the adults at your party, and will knock your guest’s socks off! 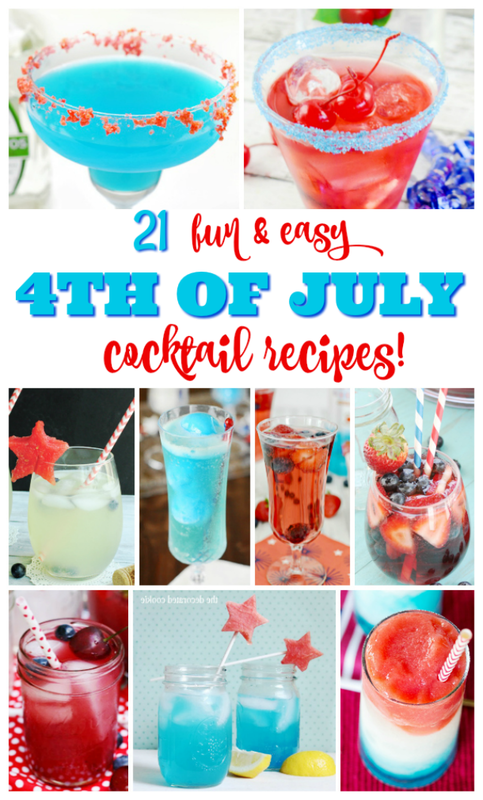 The 4th of July is right around the corner, so I thought it would be the perfect time to round up some really fun and simple Red, White and Blue Cocktail Ideas to share with you. 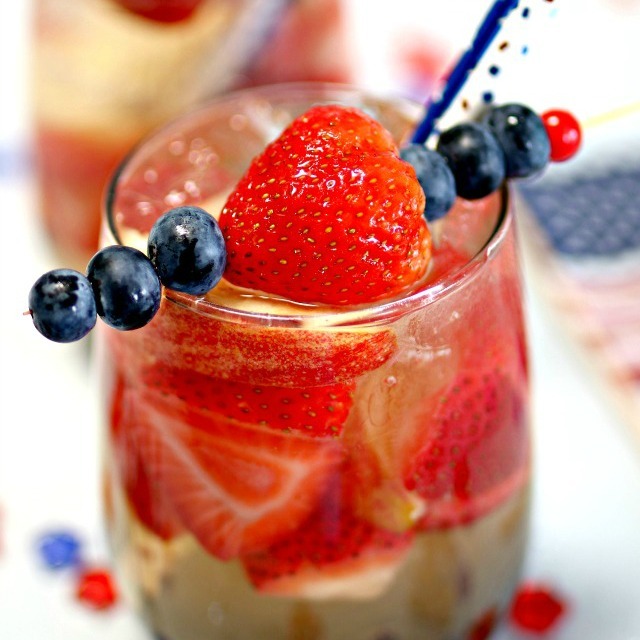 These easy drink recipes will help make your party a little more patriotic, and add a nice treat for the adults. You can totally leave the liquor or wine out of these cocktails and make them into mocktails that can be shared with kiddos or adults that do not drink alcohol. Yesterday I shared this super simple Red, White and Blue White Wine Sangria Recipe here on Pour Me a Cocktail, and it was a HUGE hit, so I hope that the rest of these drink recipes will inspire you to make some fun cocktails or mocktails for your own 4th of July get together! Thanks so much for sharing my cocktail recipe! This list looks amazing. I don’t know how to choose!